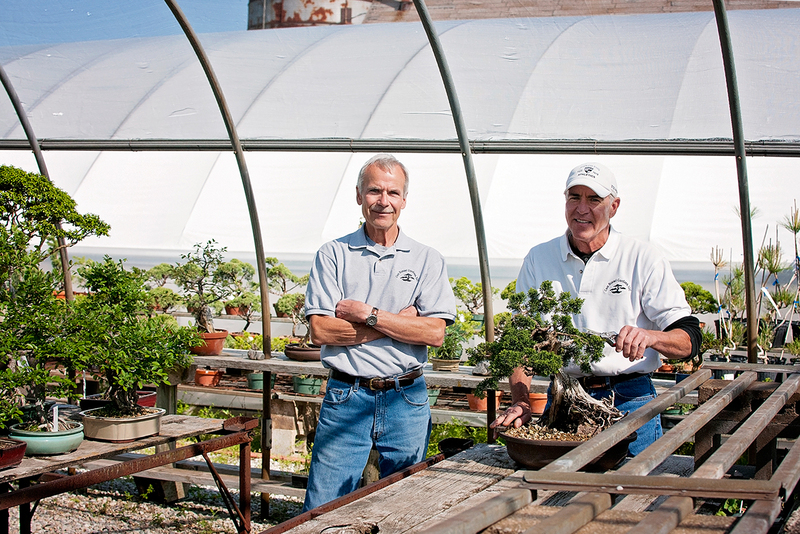 Cass Bonsai Gardens' Ciskowski brothers ply wood in the business where they got their roots. Brothers Milt and Brian Ciskowskis' trajectory toward their current calling has had as many twists and turns as one of their many manipulated trees. The two started their careers on their grandfather’s farm, where they raised cattle and helped in the florist shop he founded on Cass Avenue in 1910. They eventually moved the shop and greenhouse to North St. Louis, closing up and re-emerging as Cass Bonsai Gardens at 6145 Quercus Grove Road in rural Edwardsville, IL, in 1998. 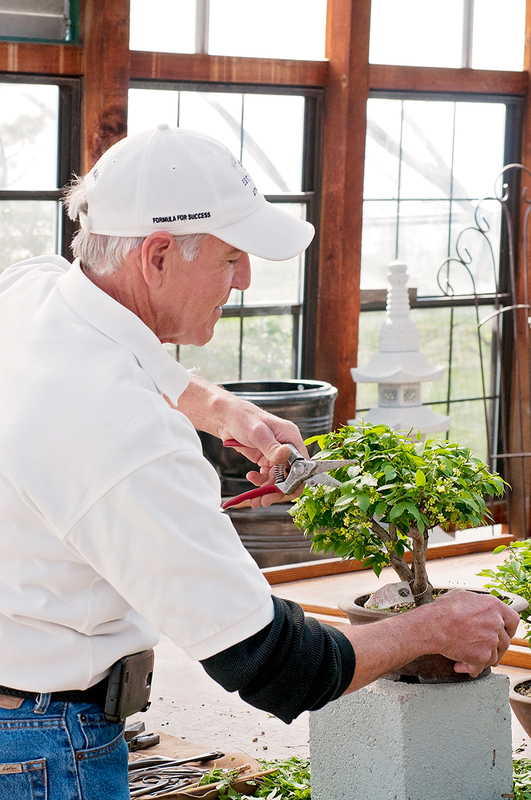 The bonsai biz indulges the brothers’ lifelong green thumb and a bonsai passion that, for Brian, 60, started about 30 years ago with a series of unfortunate junipers. 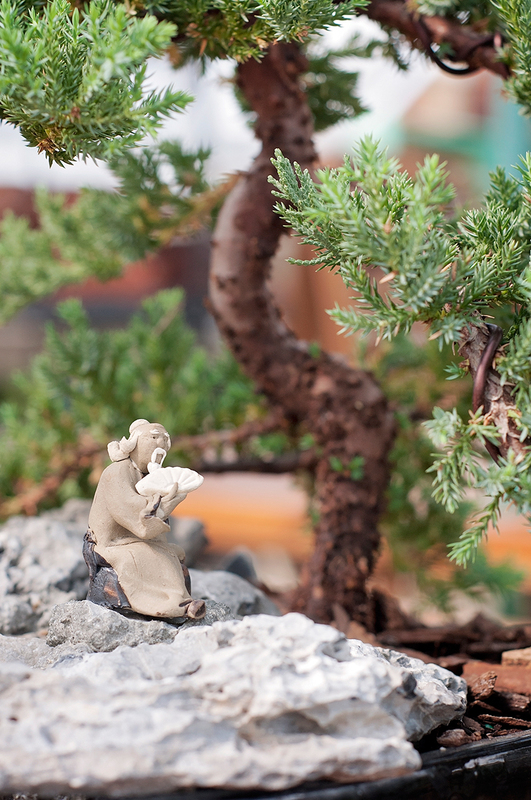 “Most people’s first [bonsai] tree is the little garden juniper,” says Brian. “That’s usually the first one they kill, and most people give up after the first one. I killed my first three.” Inexpensive, hardy and green year-round, they’re also good bonsai starters because they can take shape so quickly. The brothers pot their specimens in a soilless mix of fir bark and a fired clay product that prevents overwatering. While Milt, 63, manages the growing, it’s Brian who manipulates it. Careful pruning of the branches steers the shape, while trimming large roots encourages the growth of many smaller roots that keep the plant healthy and limit its size naturally. Then comes the wiring that forces growth to create the desired look. 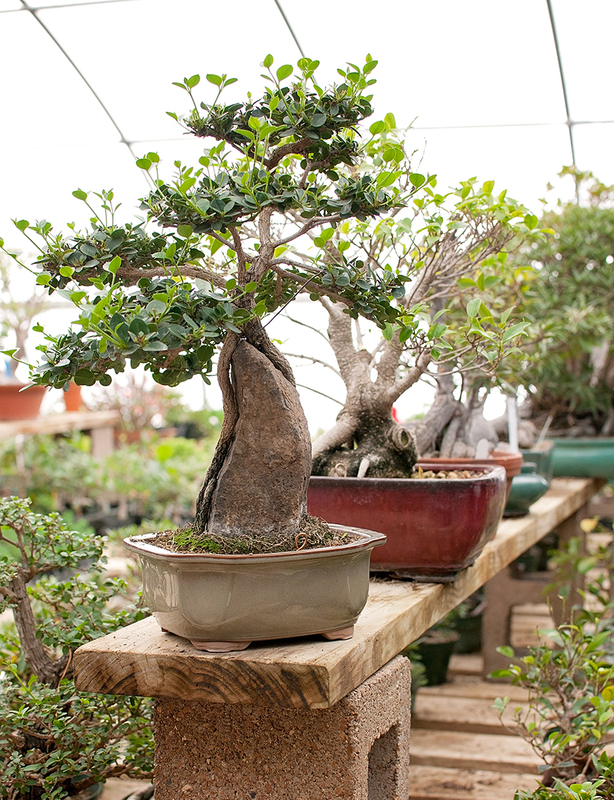 Prices for specimens sold at Cass Bonsai Gardens can range wildly, based on the materials and time put into their care. A small tree for the desktop can be had for $15 to $25; mediums, $75 to $100. Then there are the large, decades-old, imported trees Brian has worked since picking up the art 30 years ago, that can run into the thousands. 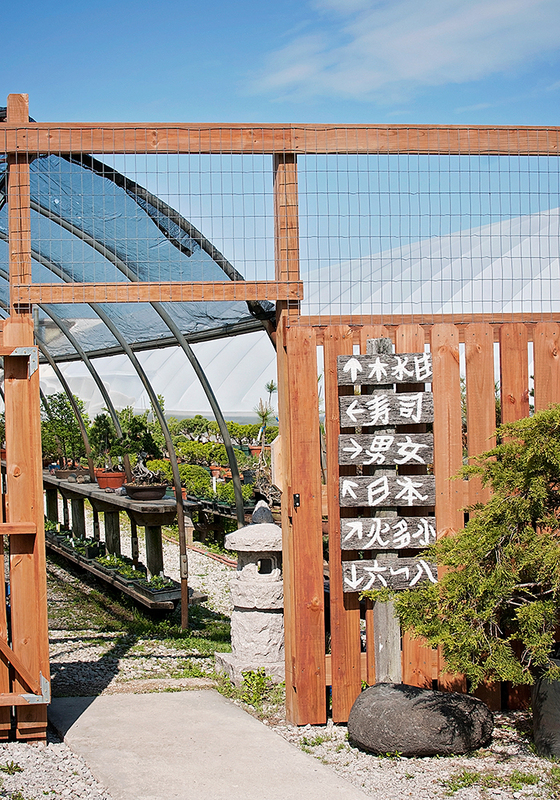 For those who’d like to try their hand at the art, Cass Bonsai Gardens sells starter materials that run about $25. 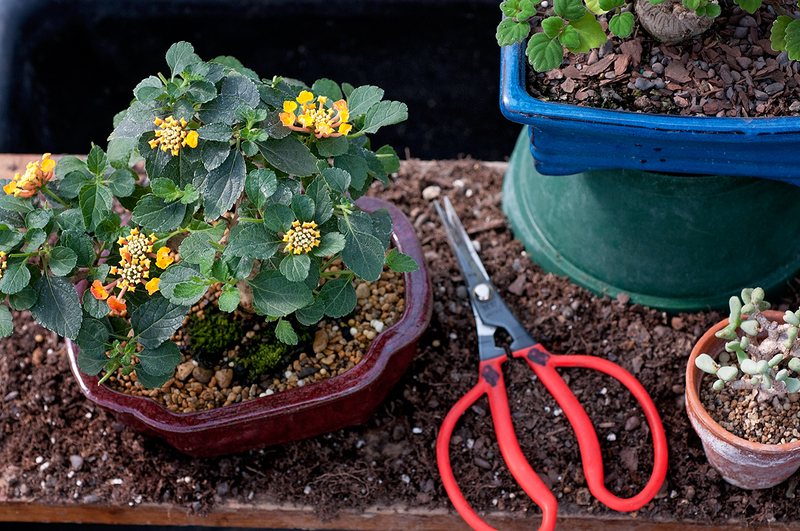 And, at 6:30 p.m. on the second Tuesday of each month, you can join the Ciskowskis with the St. Louis Bonsai Society at the Missouri Botanical Gardens to pick up tips and tricks.